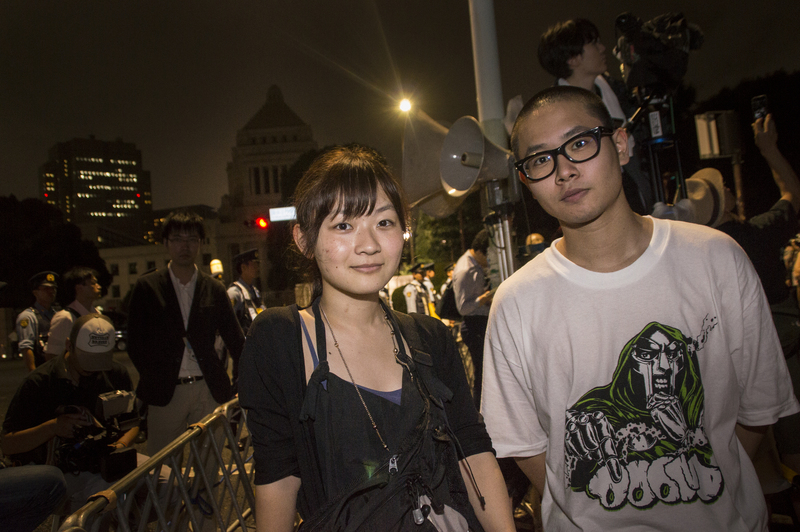 The sticky, humid night did not stop thousands of infuriated Japanese from gathering outside the Diet on July 15. Many held eye-catching placards that displayed messages such as, “Give peace a chance” and “Our future, our choice” to protest the approval of two security bills at the special committee of the Lower House. 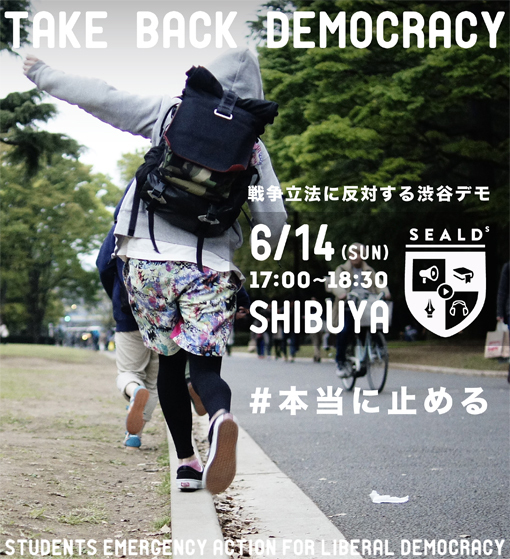 One pro-democracy youth group, Students Emergency Action for Liberal Democracy (SEALDs), is credited with organizing the heated protest. Many of the roughly 175 members of the group are college students. Their fashionable and trend-conscious placards stood out in the crowd. 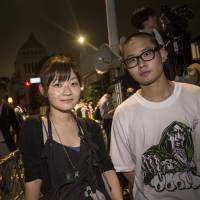 The catchiness of their designs may be one factor that has helped SEALDs attract an increasing number of people to its weekly Friday protests at the Diet. They also use Twitter to inform people that placards can be printed out at 7-Eleven stores. SEALDs member Touri Ise, 19, who heads the group’s 26-person design team, said that she wanted to make “normal things,” meaning she wanted their designs to meet the standard of other designs seen in the community. The group’s design team is divided into branches, each in charge of media such as fliers, pamphlets, placards, photographs and videos. Ise communicates to each branch her overall expectations, including the colors and arrangements, and members of the team critique each other’s work to narrow down their selection. Although Ise is enrolled in Musashino Art University, she said she had little experience in design, adding many of the other SEALDs designers come from similar backgrounds. As for how they manage with limited experience, both Ise and another key member, Yoshimasa Ushida, put it down to sheer willpower. “When you begin because you have to, you slowly but gradually begin to learn things like tricks in using illustrator programs,” Ise explained. Ushida, 22, who studies sociology and philosophy at Meiji Gakuin University and aspires to become a researcher in the field, pointed to French Emperor Napoleon Bonaparte as a example of why design is important. He said when Napoleon contributed to the Louvre Museum collection in Paris in the early 19th century, he succeeded in connecting unrelated individuals through the shared experience of seeing the same painting of the emperor. 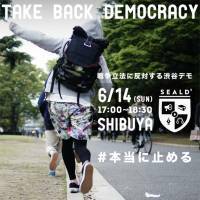 In times when youth in Japan are criticized for having little interest in politics, SEALDs’ activities are proving the exception. However, online critics have said the group’s catchiness draws people who give little thought to the complexity of the issues they are protesting against. “They can just come to observe, even. And if that influences them to start following politics more attentively, that would be great. As design becomes utilized as a form of expression, politics may become more approachable for a once apathetic population. Clarification: This story was updated on July 22 to make clear the fact the number of people who showed up at the July 15 rally at the Diet was an estimate provided by the student protest group.